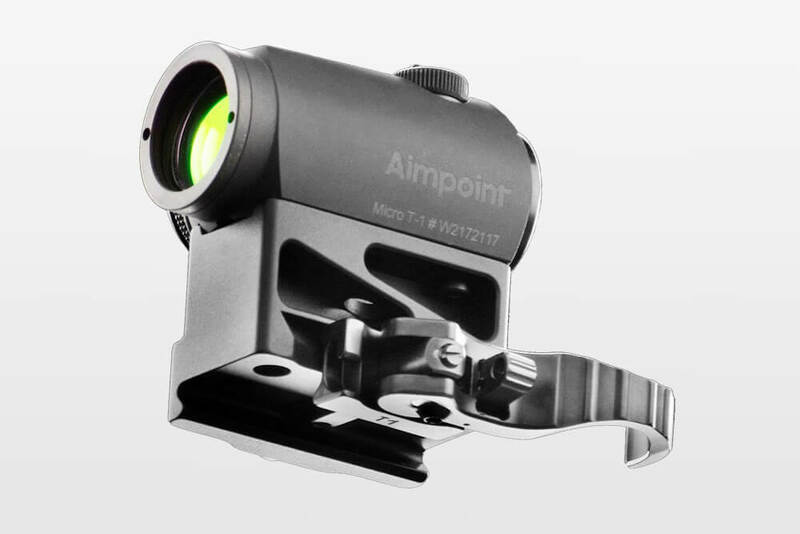 Our modular system allows both the Aimpoint Comp and Micro models to be combined with the Magnifier. As a result, the range of appli­ca­tion of the red dot sight can be extended to medium distances. If the assem­blies are selected with a height of the optical axis A = 39 mm, the red dot sight and the open sight are co-witnessed when used on the AR15 with Flattop receiver. If the sight is to appear in the lower third of the red dot sight (1/3 lower co-witness), the version with a height A = 43.5 mm must be chosen. Both mounts have an offset G = 32.5 mm. This allows the red dot sight on the AR15 to be brought far enough forward to allow enough room for the Magnifier and a backup sight.